Elevated at a height of 19,700 ft above sea level, Zanskar is one of the most isolated trans-Himalayan ranges. It belongs to the Northern India’s Kargil district, which is the westernmost part of Ladakh.Swaddled in snow, Zanskar is nestled between two small alpine lakes and offers striking, picturesque views. The regional beauty can be attributed to the Zanskar river, which has formed deep valleys all around. The river is the north-flowing tributary of the majestic Indus river. Two other rivers feed the Zanskar river, including Doda that originates near the Pensi La (nestled at an altitude of 14,435 ft) and Kargyak that originates near the Shingo La (situated at 16,730 ft above sea level). Zanskar is also called Zangskar. The origin of the name, according to a study, possibly suggests the natural occurence of ‘zang’ or copper in the area. This mountain range is famous for its cave monasteries, trekking trails, river rafting and hiking. The Zanskar valley was initially a part of the Guge kingdom in Tibet. However, this region is now an essential part of the country. 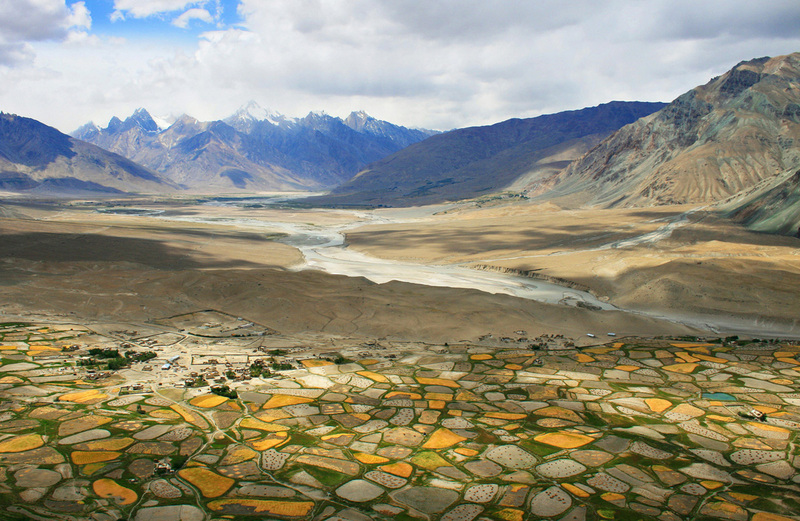 Zanskar is located across the Suru Valley, over the Pensi La, and shares a distance of 105 km from Leh. Most of the people in this area are Tibetan Buddhist. The locals speak Zanskar Skad, a mixture of Ladakhi, Bodi, and Urdu, that is. The Zanskar range is home to some of the highest peaks of Himachal Pradesh. The valley is spread over an area of around 7,000 square kilometres. 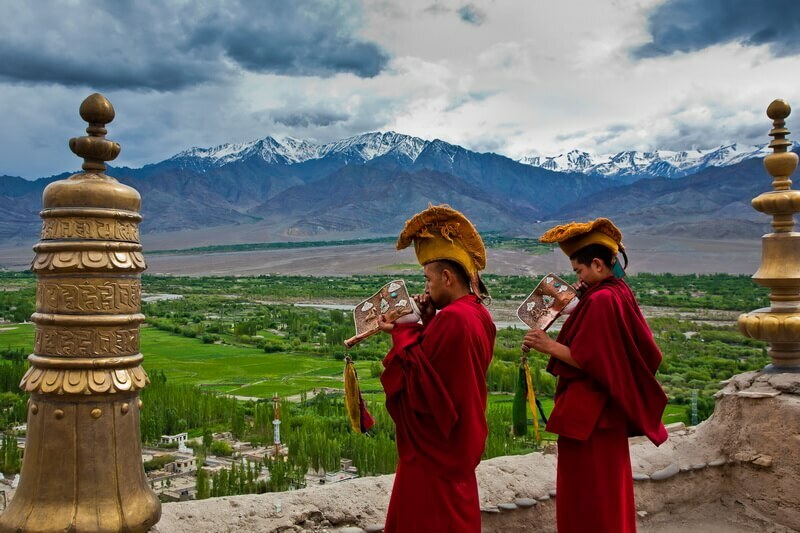 Zanskar has several interesting places for its tourists to visit and explore. Zongkhul is a well-known cave monastery that houses many breathtaking shrines. It is said that the gompa was the meditation cave of the renowned Buddhist yogi, Naropa.The monastery has a wonderful collection of artifacts such as Samvara ivory painting and a crystal Stupa. The amazingly structured Stongdey gompa is the second largest and one of the oldest monasteries in Zanskar. Located 18 km from Padum, Stongdey is home to as many as 60 monks and has several distinguished shrines as well. Around 32 km from Padum, Zangla has an old castle as its major tourist attraction. Old nunneries are found in this region. The Tsa Zar village is located nearby, which is home to an ancient monastery. The gompa has a collection of beautiful murals. During the many treks in Zanskar, such as Chadar trek, and Padum-Markha valley and Padum-Lamayuru trek, Zangla is a must-stop point. Situated in an isolated area of Lungnak valley, Phuktal monastery is one of the most appealing destinations of Zanskar. It is loved for offering peace and solitude to its visitors. The gompa plays host to different festivals like Chudsum Chodpa, Smonlam Chenmo, and Chonga Chodpa, to name a few. Initially, Phuktal—which stands for Phuk (cave) and Tal (at leisure)—was a residence for many teachers and scholars. 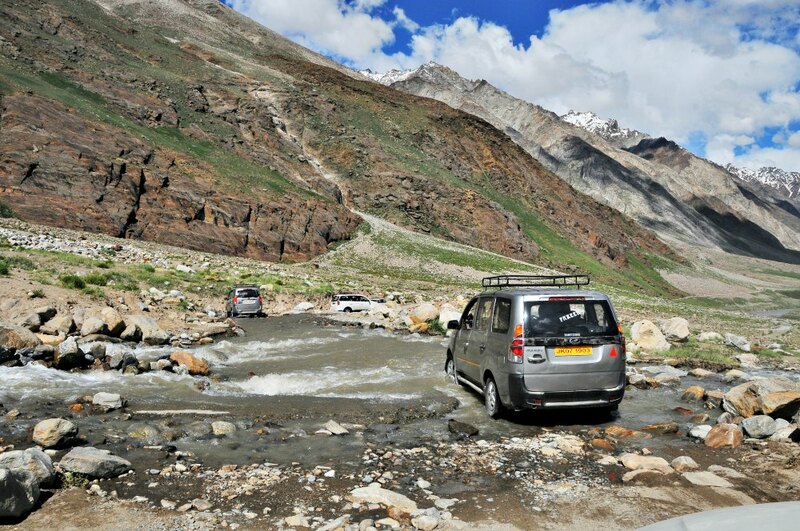 The Srinagar-Leh highway generally opens around early May. Also, Pensi La pass, which is located at a higher altitude, may take more time to open till the snow clears. 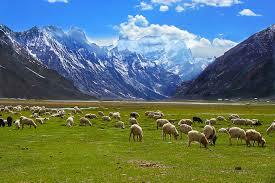 Therefore, the best time to visit the Zanskar valley is from June to September/October. You can also visit the mountain range during the winters as well. However, the only route during winters is a long, hard walk from Nimmu over the frozen Zanskar river, which is popularly known as the Chadar trek. The summer days provide you the best travel experience to Zanskar, when the temperature is between 2°C to 30°C, that is, just about perfect. At this time, you can fully enjoy the scenic beauty that the journey offers. On the other hand, the weather remains between (-15°C) to 10°C during the winter season and the region becomes freezing cold to visit. In Zanskar, stay is not an issue with ample options available. The region provides the Tourists complex as well as various hotels with basic facilities. You can also choose to stay in camps if you are an adventure-lover. The monasteries located in the region offer rooms on rent to the tourists and there are also some homestays available, which proves to be more economical than other options.If you want to stay in a 3-star hotel, Padum is home to quite a few.